L'appartement peut accueillir jusqu'à 3 personnes et dispose d'un salon avec télévision, lecteur DVD, d'une grande chambre et d'un jardin d'hiver ensoleillé. Installations de cuisine de base et espace barbecue extérieur sous un énorme arbre Pohutukawa. Du thé, du café et du lait vous seront fournis à votre arrivée. Notre unité est autonome et la seule unité que nous avons sur la propriété. Donc, vous avez la vie privée avec votre propre accès pour votre voiture. C'est un super endroit pour rester. 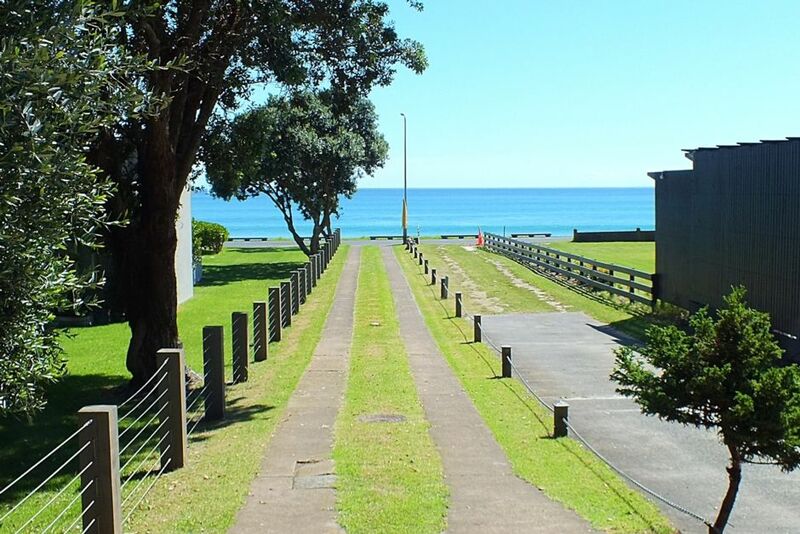 Awesome location, 100 metres down the driveway to the beautiful Onetangi beach which our kids loved... Compact little bach, but everything we needed for a wonderful relaxing few days.. Easy walk down to some great restaurants and such a great part of the island away from the crowds..
We loved our stay here, great spot,lovely little Gem, great communication, Spotless!! Thank you for allowing us to bring Douglas the Dog. Many Thanks a lovely stay. Location was fantastic - right beside the beach and bus stop into town. Restaurants just up the road. Perfect location, comfortable stay, the apartment had everything we needed, would definitely stay again. Despite the leaking roof for the first two days, we had an awesome time staying so close to the beach. Kitchen is a bit small but luckily there is a good sized barbecue outside that helped a lot. Good place to stay for three adults or couple with two small children. Comfortable, sheltered nd quiet but close to the action too.